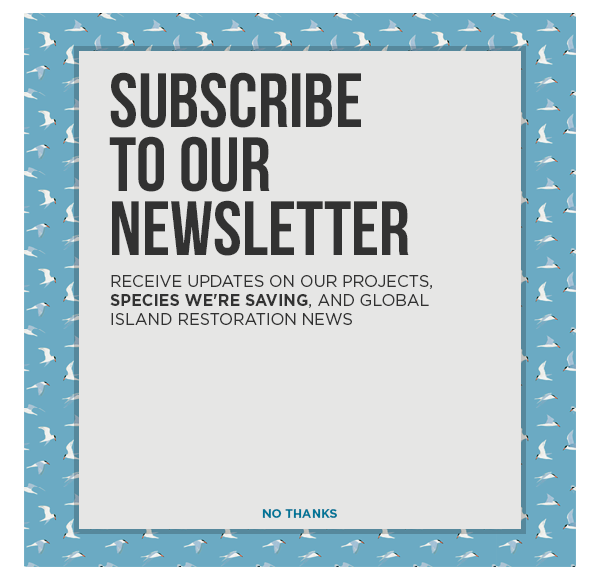 Paula Castaño, an Island Restoration Specialist for Island Conservation and a trained wildlife veterinarian, shares with National Geographic how she is changing the world of conservation. Often as veterinarians, we tend to focus on the immediate impact we can have on an individual animal’s health. However, through my journey, I have realized that I did not have to only care for any one animal by providing clinical treatment, performing surgery or preventing it suffered from diseases, but I could also have a bigger impact by working in the field of conservation, saving species populations, restoring their ecosystems, and helping human communities cohabit in balance with nature. Paula caring for a Jaguar in the mountains of Colombia. As a little girl growing up in Colombia, I dreamed I had the power to help animals. At that moment it wasn’t clear to me how I could do that. But with time, I realized that by becoming a veterinarian, I could indeed do just that. Dr. Claudia Brieva, a wildlife veterinarian and my teacher at veterinary school, opened a world of new possibilities to me. She inspired me to work in a specialized, less-known field, to have a bigger impact. Through her mentorship, I realized that I did not want to work with the cute little puppy or expensive race horse, but instead with the enigmatic jaguar and swift Peregrine Falcon. So, I became a wildlife veterinarian. Since that day, my life changed. That decision took me over the years down an incredible path, with many unique experiences, from rehabilitating condors and jaguars in the remote mountains of my home country, Colombia, to helping raptors fly again in the U.S. Midwest, to preventing species extinctions and restoring ecosystems in the Galápagos Islands. My career path, and those of other successful wildlife veterinarians like Dr. Brieva, are examples of the broadening and important role that wildlife veterinarians have in conservation, but also in the context of our global and changing society. It is also a good representation of what it means to work in the field of conservation medicine and take this approach to global health and biodiversity conservation. With my experience and this story, I look to inspire young veterinarians to dream big and know that the sky is the limit. Paula A. Castaño is a wildlife veterinarian with an MSc in conservation medicine and a background in raptor medicine and island restoration. Since 2013, she has been working in the Galápagos Islands with Island Conservation, providing technical assistance to the Galápagos National Park to prevent extinctions and restore Galápagos ecosystems. Currently she is involved in the Floreana Island Ecological Restoration Project as a Native Species Specialist and coordinates all environmental aspects of the project, including species reintroduction.